Replacing your mouthpiece couldn't be easier with this Didgeridoo Beeswax Mouthpiece. Watch this quick video from Simon showing you exactly how to replace your mouthpiece with a new one (example didgeridoo mouthpiece is 5cm (2") outer diameter) or to see a enlarged product image, click on the photo to the left. 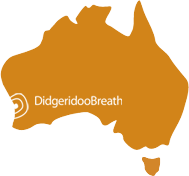 Re-waxing the mouthpiece on your didgeridoo has never been simpler. This kit includes 3 beeswax mouthpiece sticks made from 100% Australian Beeswax. The kit also includes simple to follow, step-by-step application instructions to show you how to apply your new mouthpiece. You will have your new mouthpiece on in no time! We ship our beeswax mouthpieces to every country in the world. To purchase, simply click the "Buy Now" button on the right hand side of this page and follow the checkout process. Made from happy, healthy, busy bees from Western Australia. This 100% natural Australian beeswax has been made from bees who roam the wild and source their nectar from a variety of Western Australian trees including Jarrah, Marri, Karri, and wildflowers. This beeswax has been meticulously filtered by hand, leaving it pure and silky smooth which is perfect for you didgeridoo mouthpiece. Like a fresh haircut, we know how good a new mouthpiece on your special didge feels. This replacement mouthpiece kit has been created so you can easily upgrade your didgeridoo mouthpiece yourself. Depending on the size of the mouthpiece of your didgeridoo, you can typically make between 2 - 5 mouthpieces from this kit. Average Customer Review: 5 of 5 Total Reviews: 115 Write a review. High quality product, efficient processing and delivered speedily. 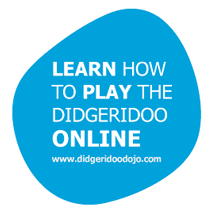 The replacement wax strips were perfect for my didgeridoo and the instructional video on the website was great. I bought my yidaki without a beeswax mouthpiece and thought that this would be my lot and then I came upon DidgeridooBreath and was able to purchase the beeswax necessary. It came with instructions and was easy to put on. The whole process from purchase to delivery was easy and personal. I will be a continuing customer.